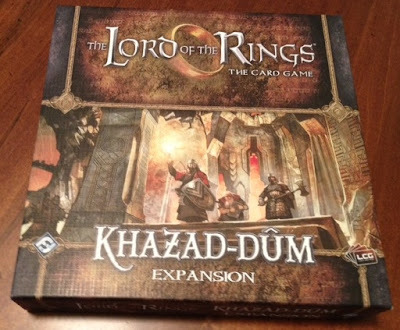 So, because of my obsession with Lord of the Rings: The Card Game, I was very excited when I was able to purchase the Khazad Dum Expansion. 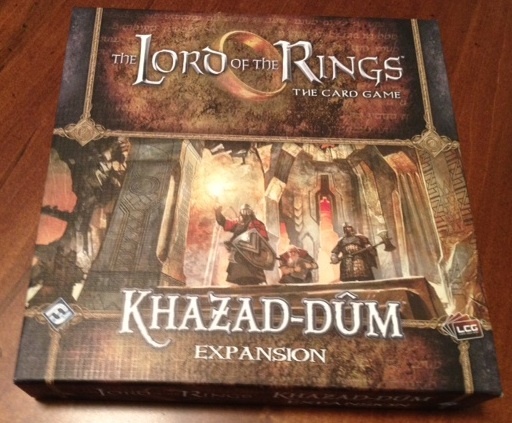 In this review, I'm going to focus on what the Khazad Dum expansion adds, and so I will assume that you are already familiar with Lord of the Rings: The Card Game. 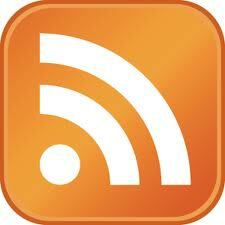 If you're not, then I would recommend reading my review of it. The first adventure included in Khazad Dum is entitled "Into the Pit." 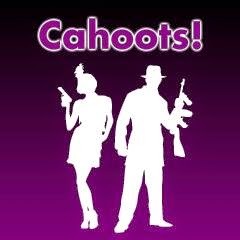 This adventure is a three-step quest that focuses on exploring locations. To start the game, you pull out three locations. After exploring each location, the next one becomes available, and you cannot proceed beyond the first stage of the quest until you have explored all three of those locations. This can cause the first quest step to be the longest one in the game, but what I like about this adventure is that it gives you time to expand your group of allies before you are attacked. The first location goes into play as the active location, and it prevents enemies from (even optionally) engaging you. This allows you to quest without worrying too much about enemies attacking you (one goblin can actually immediately engage an enemy when it's revealed), but also causes the enemies to pile up in the staging area until you have completed this step. Thematically, this really works well, especially since the second questing step causes more enemies (including a Patrol Leader) to be added to the staging area - and if you manage to kill them all, you automatically advance beyond that step. Overall, I really enjoyed this scenario - it was tense, but didn't feel too overwhelming. The next adventure is a very basic two-stage questing scenario. The only real twist in this scenario is that you are provided with a Book to start the scenario (it goes away in stage two), and this Book allows you to quest a hero without having to exhaust them. The consequence of this is that you are not allowed to attack with this Hero (so, I used my Hero that allows me to exhaust it to draw two cards). If you are able to generate a lot of quest points, then you can defeat this scenario pretty quickly. 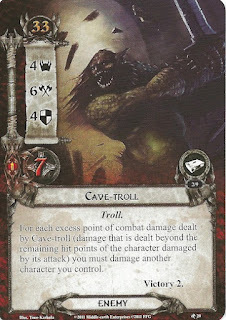 However, if you have an unfortunate draw, there is a Cave Troll that is specific to this scenario that I believe is the main challenge in the entire scenario (he has 4 Threat, 6 Attack, 4 Defense, and 7 Health - and his excess combat damage attacks another character). 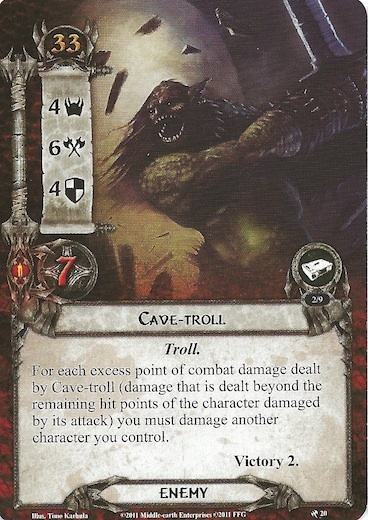 There are two Cave Trolls in the scenario. I recommend trying to defeat the scenario before the Troll comes out. Overall, I enjoyed this scenario, though not as much as the first one. The most unique adventure of the three is the third adventure (the hard adventure). Essentially, this scenario is representing the Heroes attempting to escape, but getting lost in the process. There are only two stages to the quest, but there are seven different cards representing the second stage. Whenever you are going to the second quest, you flip over the top card, and two of the cards can lead you to an exit. However, one of the cards can only lead you to an exit if you have gained the "Abandoned Tools" objective card (fortunately, a different stage two quest card can let you search for this objective). 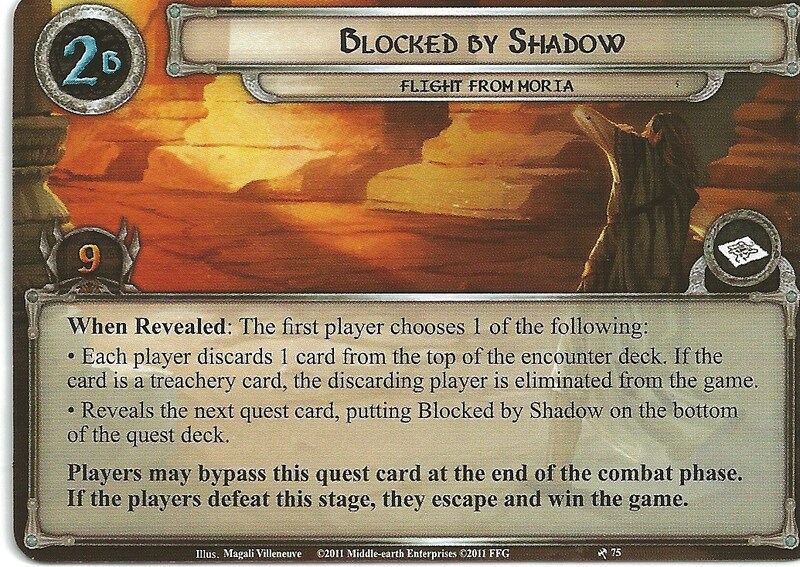 The other possible escape card forces each player to discard the top card from the encounter deck, and if it is a Treachery card, then that player is eliminated. Unfortunately, I often play this game solo, so basically I get to decide if I want to risk instantly losing the game. I think that this adventure is really unique and innovative, but unfortunately, I find it to be very frustrating, as too much of the difficulty of the scenario is based on random elements, and I can lose regardless of how well I play. Though this is a neat, unique adventure, I probably won't play it very often. 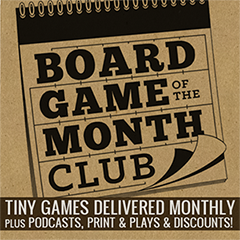 So, the one other thing that you need to know about the Khazad Dum expansion is that you will have to own it if you intend to play the adventures in the Dwarrowdelf set of expansions. 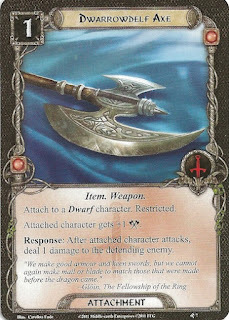 In the same way that you use encounter cards from the base set in the Shadows of Mirkwood sets, you will use the encounter cards from Khazad Dum in the Dwarrowdelf series. 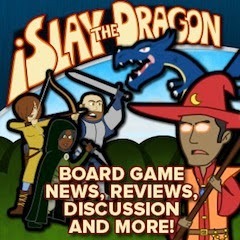 Overall, I give Khazad Dum an 8.5/10. I enjoyed two of the three adventures, and I think that the player cards add new deck building options, so overall I was pleased with the set. Interesting, I picked up a copy of this but as yet its unopened. I still have the other packs to finish. 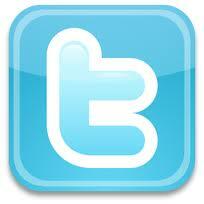 I would be interested to see what you have used in your deck. My deck is a Green/Purple with about 2/3 Green (and I use 2 Green Heroes and 1 Purple - often Theoden for Purple). The key cards are 3x Steward of Gondor, 3x Sneak Attack, 3x Gandalf, and 2 or 3 (I don't remember) of the Song to give a Hero the Purple icon. Then, I also have all of the best Green allies (as well as Faramir). Basically, the strategy of the deck is to get Steward of Gondor out early - which should be do-able with the mulligan rule and the fact that you can draw so much with Green (I often use the Hero that lets you draw 2 cards, and Bilbo, who lets the first player draw one extra). Once Steward of Gondor is out, you just draw a lot and play tons of really good allies. Ok, might have to have a look at that. I have been trying a red/green deck and its a struggle getting enough quest tokens out. When you're playing green, green has lots of options to look at the top of the Encounter deck: Denethor, Henamarth Riversong, Needful to Know, Rumour from the Earth, & the neutral card Shadow of the Past. You can't use these *directly* for 2B 'Blocked By Shadow' since the 'when revealed' effect goes off before you can play actions & none of these cards are responses. 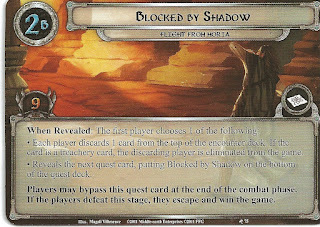 BUT you can use them before you flip over a 2B quest card, and if you hit 'Blocked By Shadow' you'll know the top card. Denethor & Henamarth are the best for this since you can re-use them for every single quest flip.